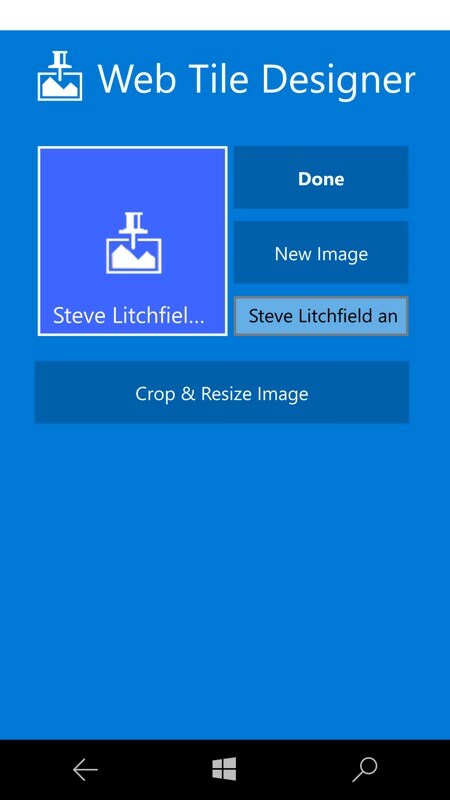 Less of a full UWP app (though it does work on all form factors) and more of an enabler, Web Tiles lets you replace token blue 'e' logos on your Windows 10 Mobile Start screen (or favicons at best) with full photos of whatever you'd like to stand in for the web sites and resources of your choice. Hey, and it's free too. With Web Tiles you can finally pin cool web page Tiles with Icons and Logos to "Start". 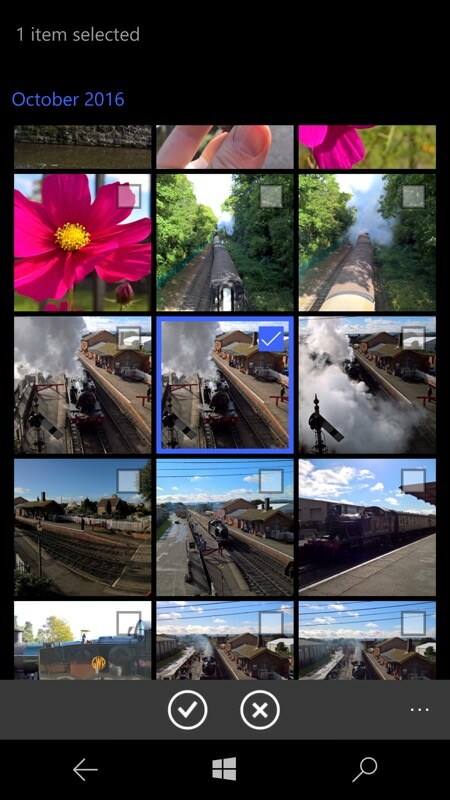 You can also use pictures form you own Pictures Library as Tile images. Web Tiles is so easy to use and works like a charm: Simply click "Share" in Microsoft Edge and select the Web Tiles App. 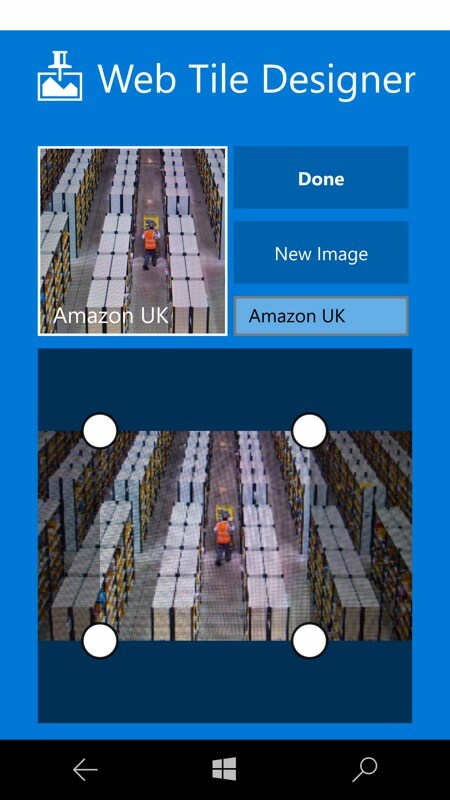 Web Tiles itself has a simple UI, above left. 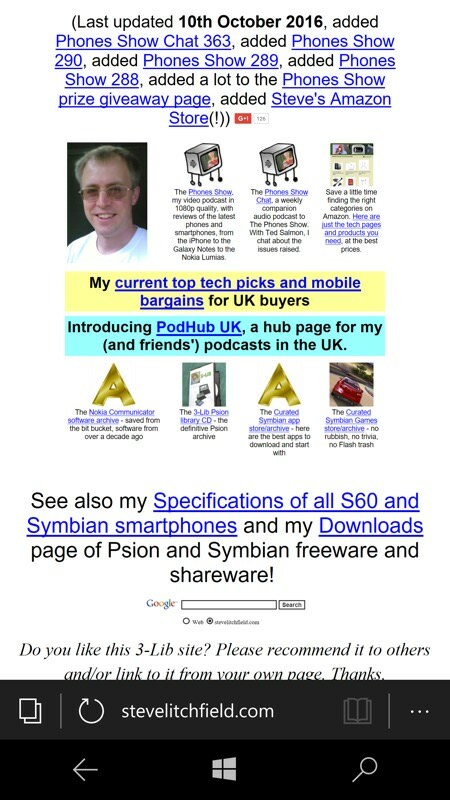 If the web site supplied a 'favicon' then this will be shown (my own web site here didn't), but the whole point of Web Tiles is that you're going to choose a new, higher resolution and prettier graphic. 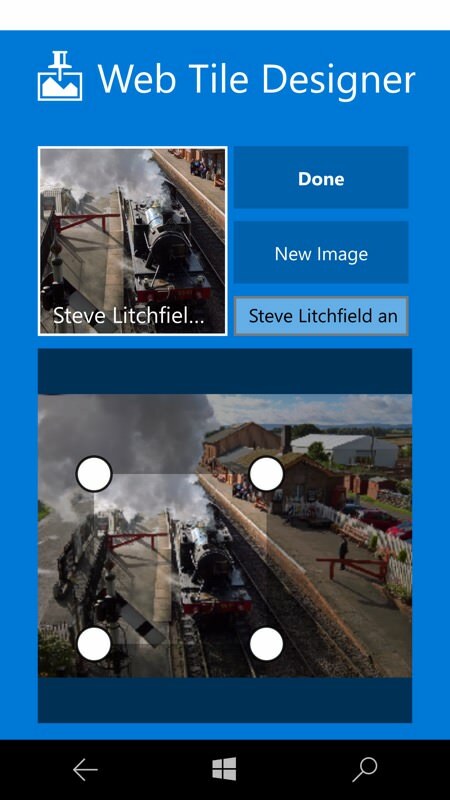 In my case, I like steam trains, so why not pick a suitable shot from my Camera roll? The text field can be edited - by default this has the full descriptive title of the page, as quoted in the HTML, and this is usually too long. 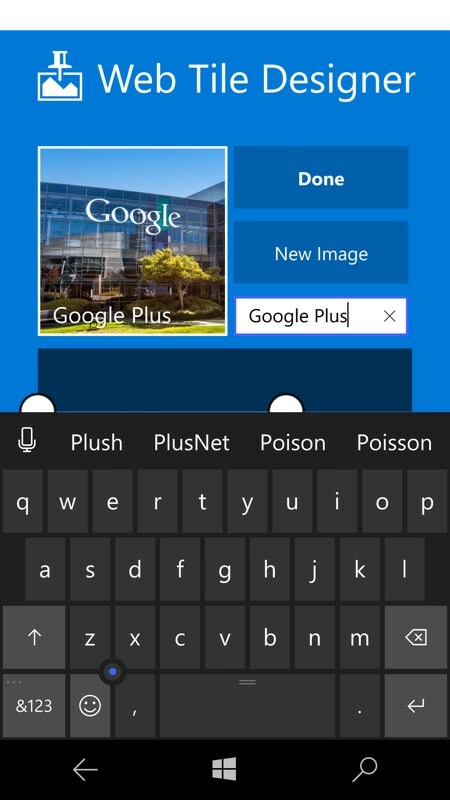 So tap this field and edit it down as needed, so that the Start screen title/label is appropriate. Above right is a row of three Web Tiles - I left the first with the original description, and the extra 'and' is going to annoy me, I can tell. The other two have my chosen graphics and pruned titles and look great. The only real caveat to this system is that if you don't like the way a tile turned out then you have to start again, i.e. share again from Edge and reassign and crop an image, add a title, and so on. 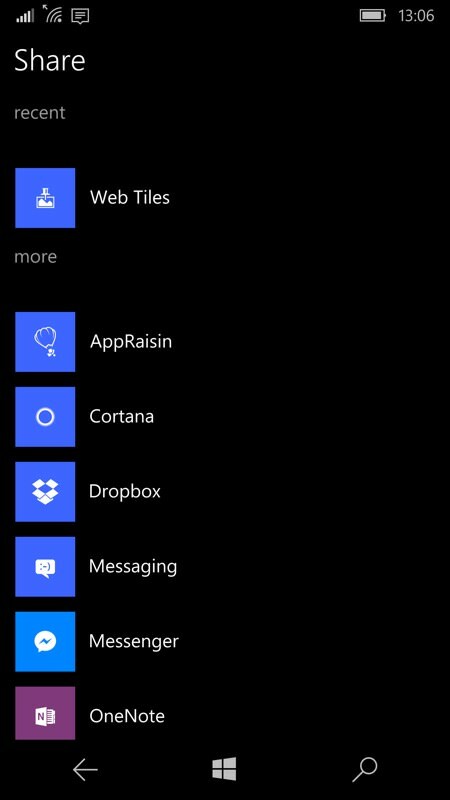 Plus there's the absence of a double-wide live tile, something which the developers should be able to add fairly trivially. 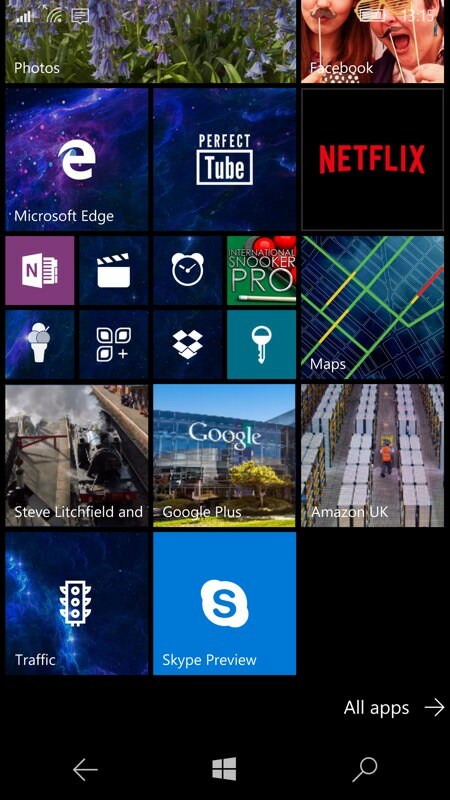 Other than this, Web Tiles is a superb little UWP and a must-install on all my phones. With the likes of eBay and Google+ not available as applications in their own right, Web Tiles is a tool that makes accessing the HTML5 web versions both painless and pretty.